(03-13-2014, 08:19 PM)HAYASHI Wrote: Looking amazing, I had some stuff re anodised and a few bits were a little bit matte too. The more polished parts came up a gloss finish than the bare aluminium bits. So if I were to ever re-ano parts again, would you recommend de-anoing the parts myself, and giving them a polish before sending them off for anodizing? Will the polish interfere with the anodizing process? And thanks for all the information guys! Looks awesome genki. I got v2 steering arms for my v1 and they don't come with the rear side carbon bits .I haven't found them available so not sure what I'm going to do. Also does the front seperate mounts need to be used on the rear for v1? I didn't get any instructions with my Frd.I bought a chassis that was a roller completed with plastics. (03-16-2014, 01:12 PM)RubHamuSan Wrote: Looks awesome genki. 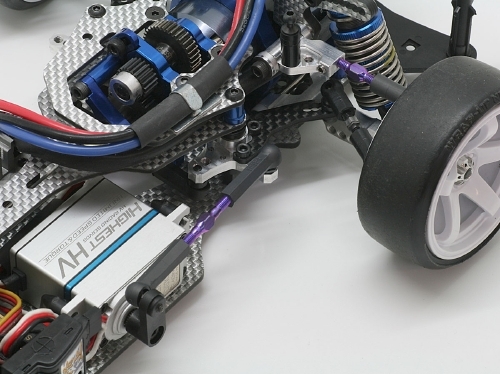 I got v2 steering arms for my v1 and they don't come with the rear side carbon bits .I haven't found them available so not sure what I'm going to do. Also does the front seperate mounts need to be used on the rear for v1? I didn't get any instructions with my Frd.I bought a chassis that was a roller completed with plastics. Thanks man. The steering wipers should have two little arms that stick out, have one of the arms that stick out point towards the back of the chassis. You can connect the two wipers together by using a turnbuckle connected to these. I pulled up the manual for the V1 and it also looks like it uses front blocks for the rear. Be sure to save it somewhere, it will come in handy when you have to replace the front gears. They don't come with them.I got front carbon wipers but no rear carbon things. I have already replaced gears with tamiya steel gears.thanks for the manual tho. (03-16-2014, 06:55 PM)RubHamuSan Wrote: They don't come with them.I got front carbon wipers but no rear carbon things. I have already replaced gears with tamiya steel gears.thanks for the manual tho. So you see how my wipers are laid out here? Keep them like this, but move the one on the right to the left. The little aluminum stubs/arms pointing towards the rear of your chassis is what you'd attach the turnbuckle to link the two together. I need more length on the back side.I can't seem to find a part # for wiper plate b. Would you have any idea? Google didn't turn up much. I may try the old connecter arm from v1 but it lacks a lot of adjustment and may be a bit long. I have the same question, should I De anodise the parts myself before sending it in for anodising? (03-16-2014, 10:28 PM)RubHamuSan Wrote: I need more length on the back side.I can't seem to find a part # for wiper plate b. Would you have any idea? Google didn't turn up much. I may try the old connecter arm from v1 but it lacks a lot of adjustment and may be a bit long. Hmmm, that's weird... my friend runs the Hybrid arms on his FR-D with no issues in regards to clearance, where are you running into the clearance issues? With some spacing you should be able to run the turnbuckle on the under side of the wipers? Unfortunately WUN doesn't sell the small carbon blades separately. (03-16-2014, 10:51 PM)ydnarF Wrote: I have the same question, should I De anodise the parts myself before sending it in for anodising? After talking to some people, I'd suggest de-anodizing yourself, and then prepping them to a nice shine before sending them off to be anodized. 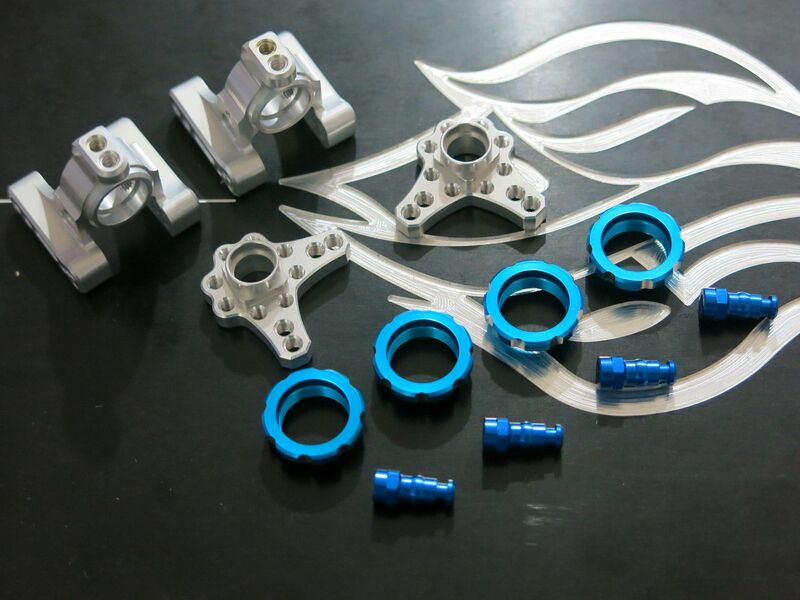 The more work you put in before hand will result in a better finish after anodizing. One of my friends even suggested Metal Tumbling when I was talking to them about my re-anodized parts, since the method would naturally remove manufacturing imperfections, and create a natural shine.